Take home the grand prize. The champion wins $10,000 and a custom leather champion jacket! The total payout is over $25,000, so even if you aren't the champ, you can still go home with some winnings. 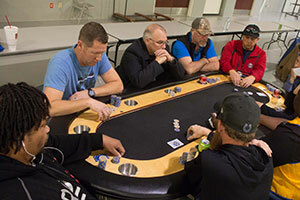 Play poker and help others. 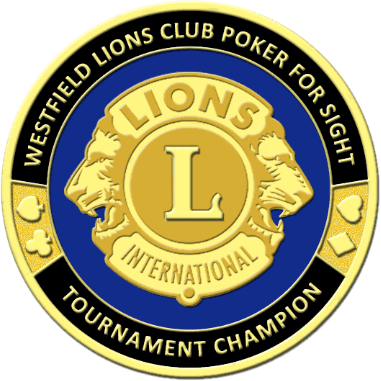 Support the cause of sight preservation with Lions Poker for Sight. The earlier you reserve a seat online, the cheaper your buy-in costs at the door! Give your promo code to friends to get an even greater discount on your buy-in! 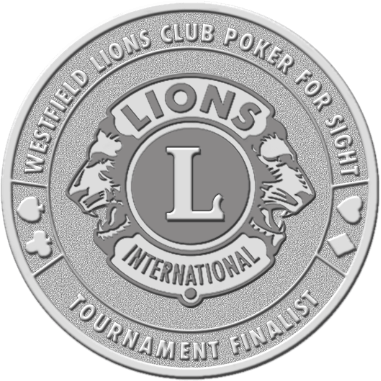 * EXCITING NEW AWARDS - Starting in Spring of 2019, the Westfield Lions will now be awarding commemorative challenge coins to all players that advance to the final table! All players that finish from 2nd to 9th place, will receive the silver "finalist" medallion and the tournament champion will receive the coveted "Tournament Champion" medallion! I just wanted to thank and congratulate you for the organization of the event. It has been a great experience for me, and I know all the hard work behind such an event. So I just wanted to congratulate the Lion’s team and the volunteers for making this event an enjoyable experience. 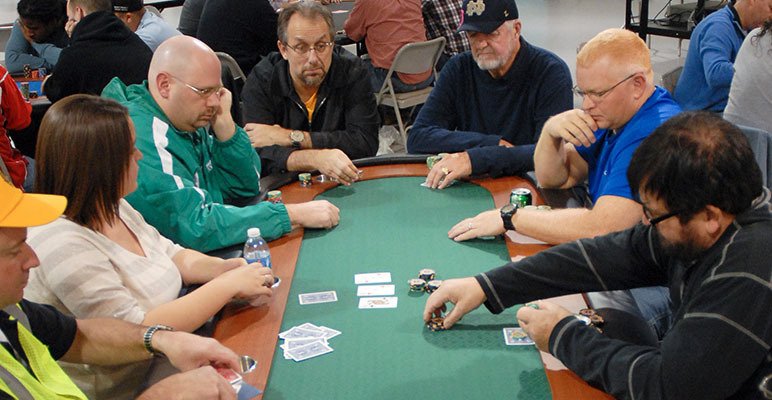 See photos from our latest tournament. 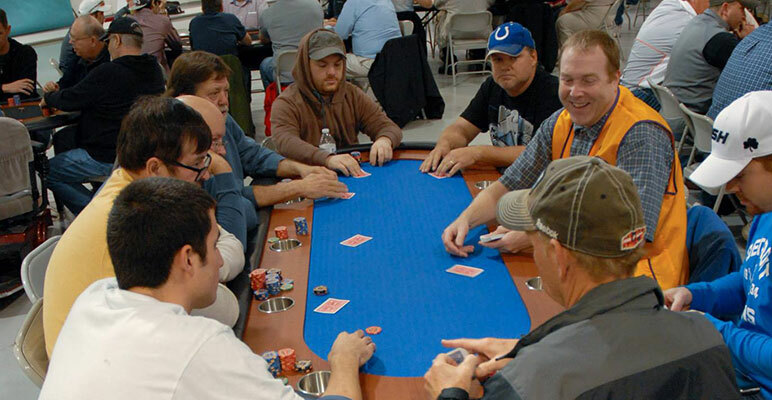 Come play in the largest poker tournament in central Indy. 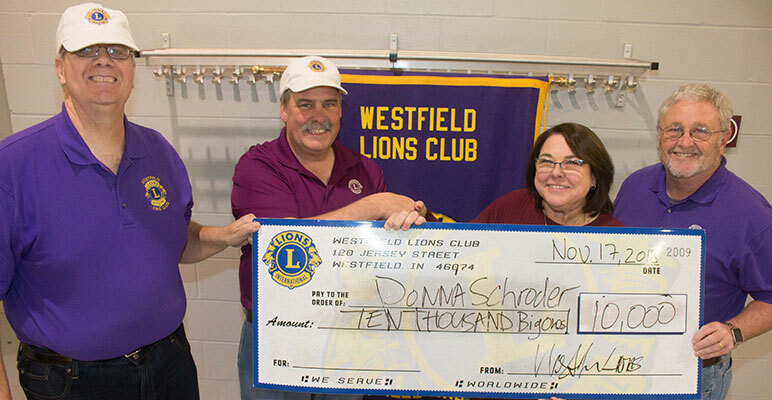 Play poker in a great atmosphere with great people while supporting the Westfield Lions Club's primary mission — sight preservation. 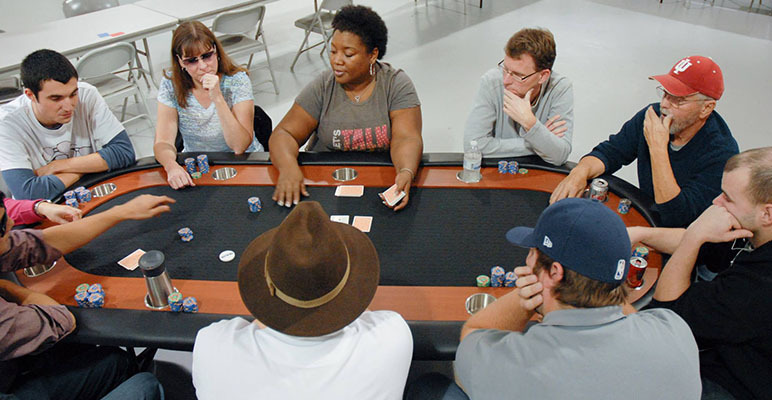 We use authentic Vegas equipment for the ultimate Texas Hold'em experience. With three qualifying sessions and a $25,000 payout, you're sure to have a good time.